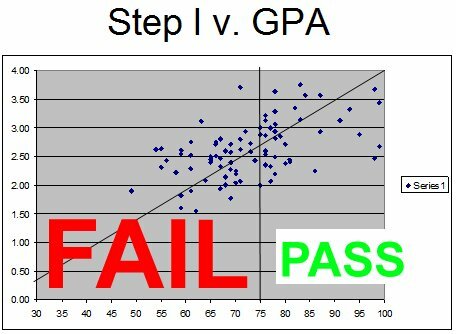 43.7% USMLE Pass Rate for American University of Antigua! according to AUA's own documentation! at Trinity Health, St Joseph Mercy Oakland hospital! 4. 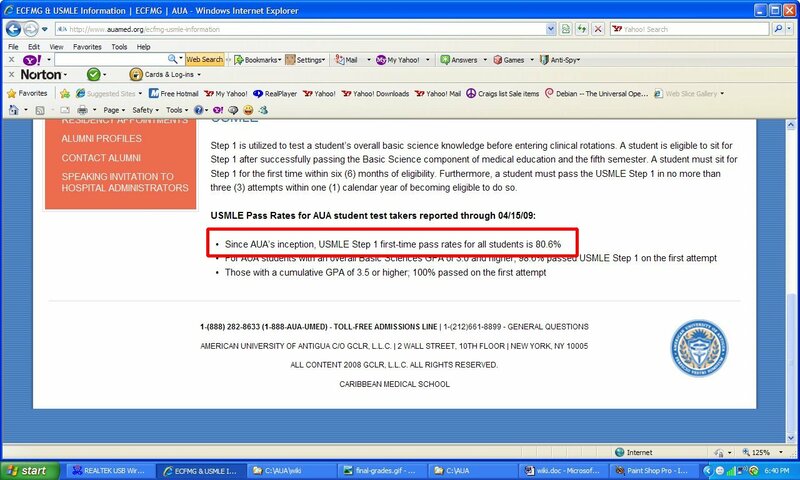 Right click and select "Chart Object" and "Open"
There were 87 AUA students that sat for the USMLE. AUA claims an 80.6% pass rate! not even close to 80.6%! 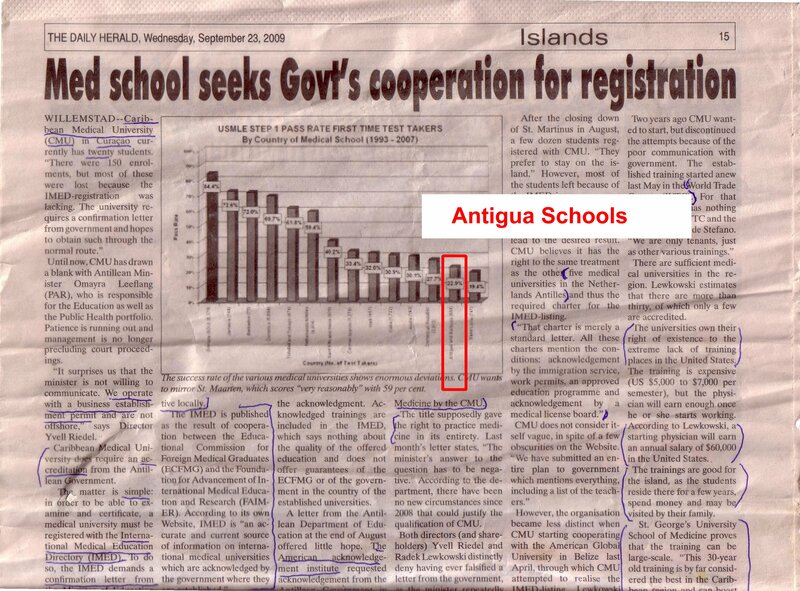 There are only two medical schools on Antigua! 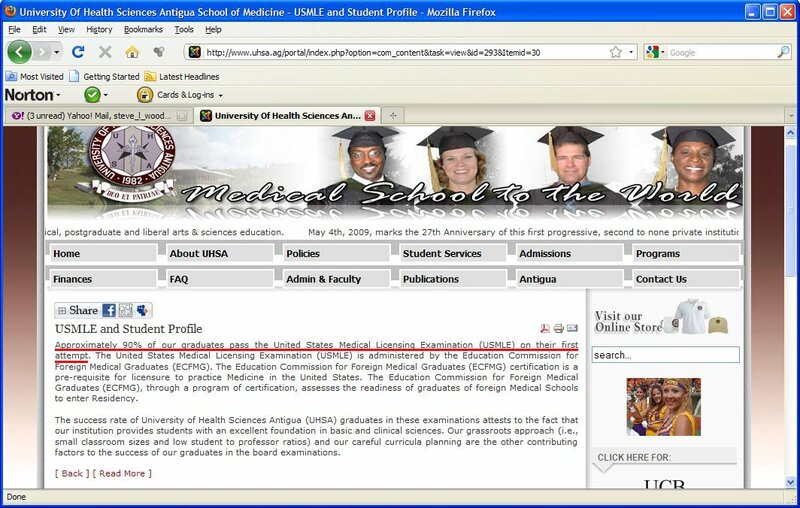 United States Medical Licensing Examination (USMLE) on their first attempt." 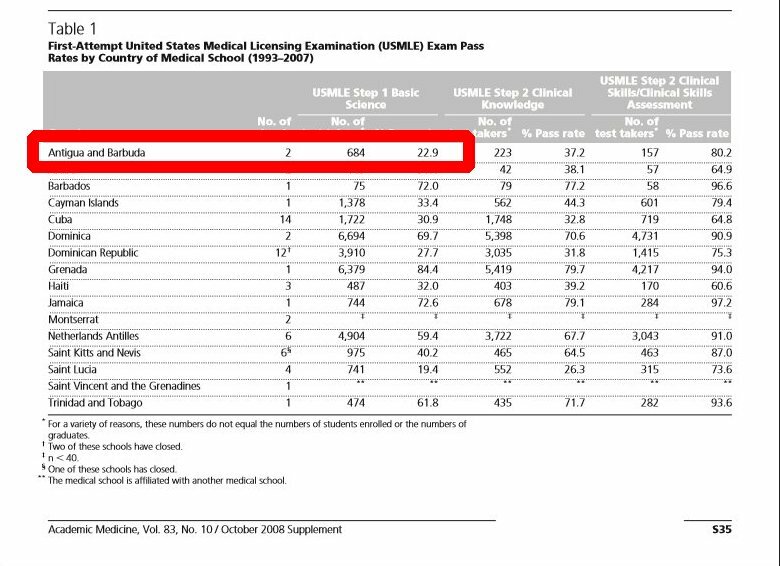 for all students is 80.6%"
USMLE on their first attempt at taking the test." 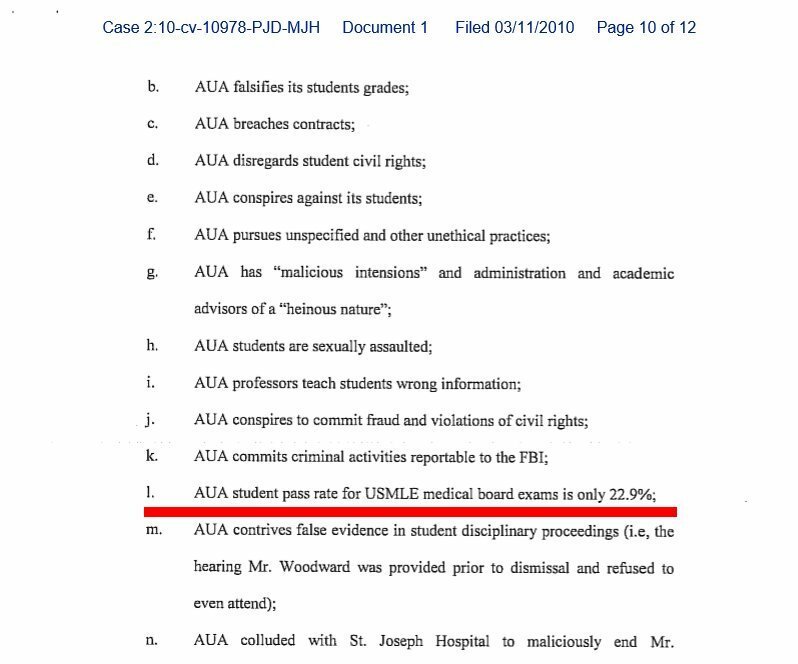 for all students is 80.6% "
AUA student USMLE pass rate is not even close to 80%! Academic Medicine and The Daily Herald! 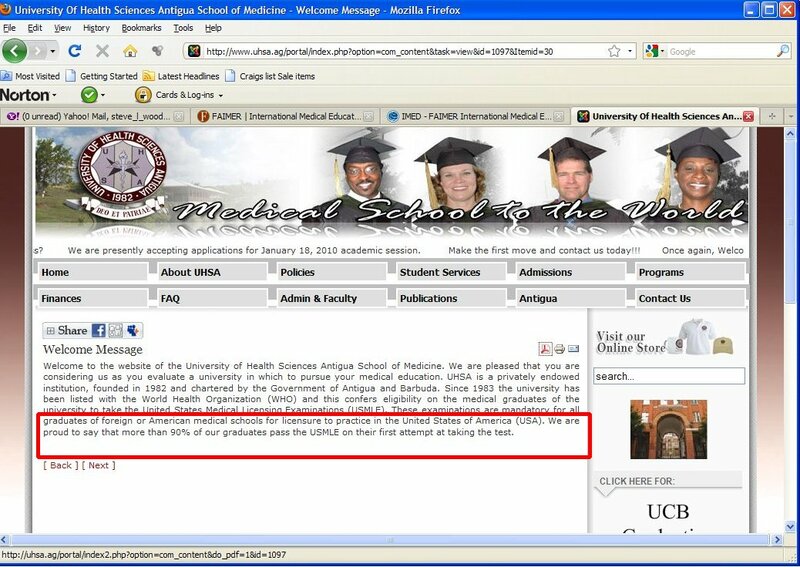 "Antigua only has a 22.9% USMLE Pass Rate!" 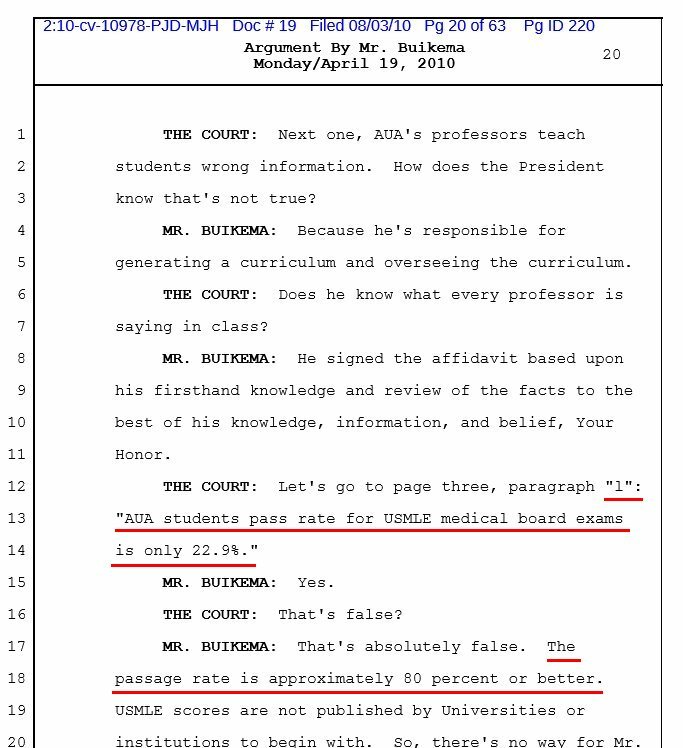 USMLE medical board exams is only 22.9%"
"AUA's student pass rate for USMLE medical board exams is only 22.9%"
Antigua only has a 22.9% USMLE Pass Rate!" St Joseph Mercy Oakland Hospital! 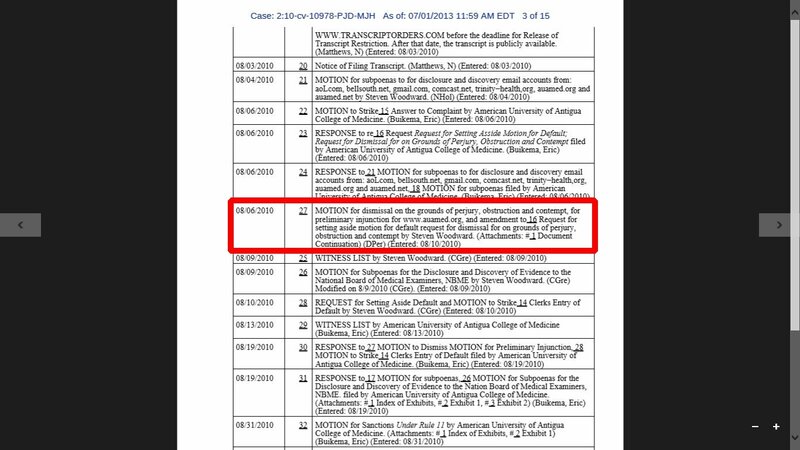 "MOTION for dismissal on the grounds of perjury"
publishing data and quoting news articles! Federal Judges take an "Oath of Office"
The term �protected speech� means speech that is protected under the first and 14th amendments to the Constitution, or would be protected if the institution of higher education involved were subject to those amendments. (1) Any person who, on or in connection with any goods or services, or any container for goods, uses in commerce any word, term, name, symbol, or device, or any combination thereof, or any false designation of origin, false or misleading description of fact, or false or misleading representation of fact"